Click on a YES above to go to appropriate retailer. 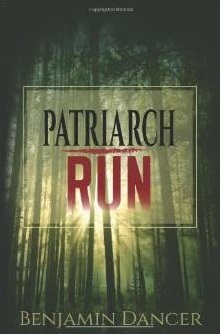 “PATRIARCH RUN is a thoughtful and character-driven, coming-of-age story. Think of it as Jason Bourne meets Good Will Hunting. The clipped, lightning fast tone of this tale reads more like a screenplay than your typical meandering literary fiction, at least in the beginning. That’s not a bad thing though. There’s still incredible depth to the characters. It’s refreshing to see an action tale that’s not afraid to tackle big emotional themes like PTSD, the morality of conflict and broken families. Brings more realism to the book. Don’t expect to figure this story out ahead of time. Just enjoy the ride. The twists, sometimes dark, are completely unexpected. Been a while since I read an ending that I didn’t see coming! The only weakness, in my opinion, were the deep introspective moments during action sequences near the end. The climax seemed somewhat diluted. Still, a fun, well-polished tale with more depth than I expected. Definitely worth the read. A thriller with a soul. “J. 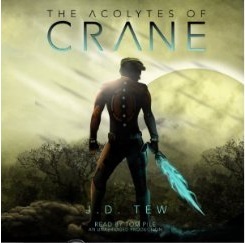 D. Tew is an author from Minnesota that has an insatiable passion for art and Science Fiction. He has a degree in Applied Science, and also served as an infantryman in the United States Army, earning numerous commendations. “Through time, there are cataclysms and reformations that can change everything, and the people who guide these changes are either heroes or villains. Twelve-year-old Theodore Crane is a prankster from a small Minnesota town, who half-heartedly shares a friend with a belligerent bully. When he is not spending his days dodging an abusive father, he is out fleeing the scenes of goofy pranks and dares. After a devastating tragedy strikes home, Theodore questions everything about himself, his family, and the universe. He then searches for answers by returning to the scene of this tragic incident and discovers the truth when an intervention from outer space reveals an epic intergalactic conflict. The truth: millions of guided microscopic devices are recording Theodore’s life and controlling his fate. Will this covert invasion be enough to pull Theodore toward his destiny? The warlords of the galaxy believe in this method and need representatives from Earth. While the beginning was a little slow for my taste, the pace picks up eventually and keeps slamming you with action. The somewhat disjointed pacing, occasionally slow and meandering and other times lighting fast, is my only real complaint. That said, there are some interesting new concepts (demons and angels are real, but packing lasers!) here. The whole tale is also sprinkled with tongue-in-cheek humor and there’s a great twist ending. As a fan of classic Sci-fi, I enjoyed the complicated “multiverse” presented. However, I’ve been burnt out on aliens lately, so all the coming-of-age detail about the hero’s childhood was a refreshing break from the typical action thriller. Maybe others wil find such careful character building out of place- to be fair this is atypical for action/adventure stories- but I think it’s a unique twist on the genre. All in all, a fun read with some unique ideas. You might go so far as to call this “Heinlenesque.” I’m interested in reading the rest of the series.